Kids love making presents for others. In my new book - The Amazing Stitching Handbook for Kids - I have included many projects that make great gifts. Here's a fun one - a little stuffed owl. Kids love their grandmas, their friends, their family. What says love more than a heart. 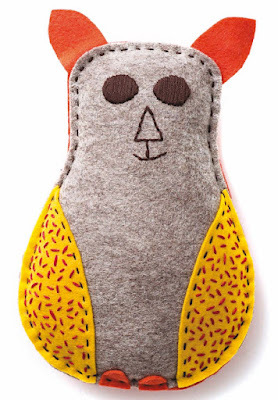 Why not help a little friend whip up a heart pillow like this one.